Why did Jūrmala as a resort become so popular? Description: This full-day tour will take you to the largest seaside health resort in the Baltic States – Jūrmala. It is located on the coast of the Baltic Sea. During the excursion you will inspect SPA centres and hotels, as well as other tourist and nature attractions. Organizers of SPA and wellness tours will have an opportunity to gain an insight into SPA treatments wit local natural resources. Why did Riga get a UNESCO cultural heritage listing? Description: The tour offers quick and efficient inspections to allow you to get a broad overview of the richness of Riga – the capital of the North! The tour is ideal for those who are in Riga for the first time. Description: This is a whirlwind tour of Riga’s diversity for those that work with a wide range of interests, Jewish heritage, Soviet heritage, fancy and alternative places, lifestyle Riga, upmarket restaurants, tourist group restaurants. Description: This tour highlights the historical attractions along the river on the route to Riga from “the east”. Why did the Dukes of Courland like it here? Description: During the tour, the guests will inspect the most interesting hotels and attractions in Liepāja, learn the most engaging facts from the history of the Naval Port and its prison. During the tour you will get acquainted with tourism products at Pāvilosta , visit the charming and romantic town of Kuldiga and the family-minded Ventspils. Why should I eat and sleep in manors? Description: This tour gives you a chance to familiarize yourselves with the former palaces of the dukes of Courland, and the most beautiful castles and Spa hotels based in manor houses. This trip will take you through the most beautiful town of Vidzeme – Cēsis. Description: You will experience active adventures in Sigulda, and at the Gauja National Park. The tour includes Nordic walking and flying in the Aerodium. The Rehabilitation centre at “Līgatne” hides the Soviet Communist Party’s real bunker. During the excursion the guests will explore the various hotels in Vidzeme and Southern Estonia. Experience Tallinn – the European Culture Capital 2011, where the old meets the new, in its style and beauty. The tour will create a holiday spirit. Description: You will explore the city and the castle of Bauska as well as the famous Mežotne and Rundale Palaces. Choosing the Vilnius tour, you will find the key to this collection of baroque churches. 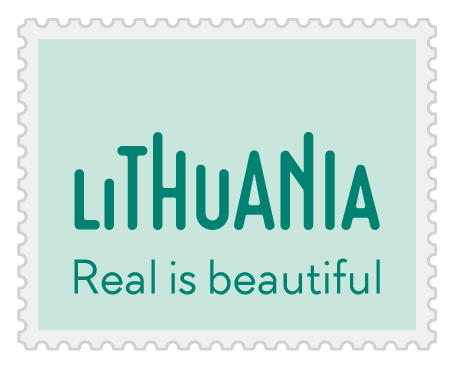 You will see the most attractive sites in Vilnius and enjoy unexpected surprises during the tour. This tour will showcase Riga’s hotels with a long track record of high quality and service, as selected by the Latvian Hotel and Restaurant Association. The tour participants will have a chance to meet with representatives of the hotels' management and find out what services are available for tourists.